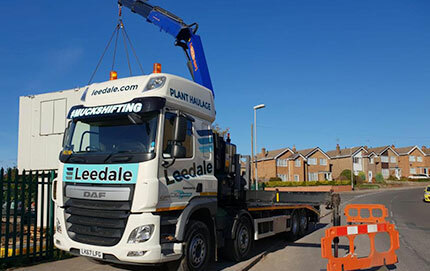 Leedale are crane hire specialists in transportation, logistics & freight haulage. 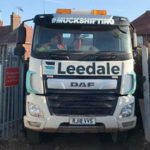 We specialise in moving containers, generators, cabins, portable accommodation, fencing, plant, machinery, building materials and provide a wide range of haulage and transport services for hire at competitive rates to the construction and haulage industry. We offer a fast, flexible and reliable hire service that can be on a fixed price or an hourly rate basis to suit your needs. We are able to serve our customers needs 24 hours a day, 7 days a week! Our offices in Derbyshire and Bedfordshire allow us to offer an extensive coverage throughout the United Kingdom including the Midlands, Derbyshire, Staffordshire, Leicestershire, Nottinghamshire, London, Yorkshire, Wales and Scotland. Our growing fleet of transport lorries equipped with cranes for transporting or moving any item, are fully maintained and carry their own crane and chain certificates at all times. Our trained drivers can safely lift up to ten tonnes. Our operators are industry experienced and CPC qualified with current ALLMI Crane Operation & Safety Awareness certification . Full Goods in transit insurance is held, details are available on request. We specialise in numerous areas including lifting and transporting containers, portable cabins, signage, vehicles, construction and plant machinery, construction site materials, agricultural equipment. Whatever you need to move, we can move it! Any type & any size of portable accommodation, delivery and transport. Any type & any size of container collection and delivery. Rail equipment lifted and moved. Construction site materials lifted and moved. Movements of bricks, blocks and building materials. Movements of sculptures & statues. Plant movements up to 20 tonne. Steel / timber fencing transport. Transportation of commercial and industrial machinery. Signage and Billboards transported and installed. 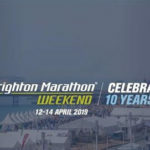 Anything you have – we can move it!